For a given directory, this script validates all the “BagIt” bags in it, and send an email to a designated email address with the status of the bags. BagIt is a standard and a software originally developed by Library of Congress that is used to confirm the integrity of collections of files (e.g., not files deleted, no files tampered with, no files suffering from bit-rot/bit-corruption/etc.). Written with Python and tested on Windows. 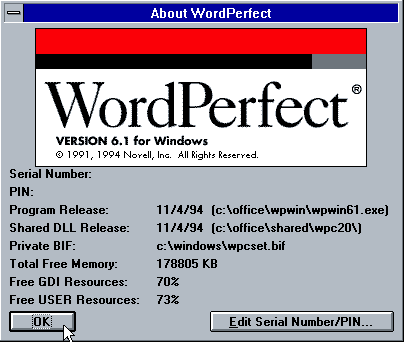 Doing born-digital archives work almost always seems to turn-up WordPerfect (WPD) files. This script will go thru a directory, including all subdirectories, and create PDF verisons of all WPD files using MS Word for Windows. Requires Windows XP+ and MS Word for Windows.